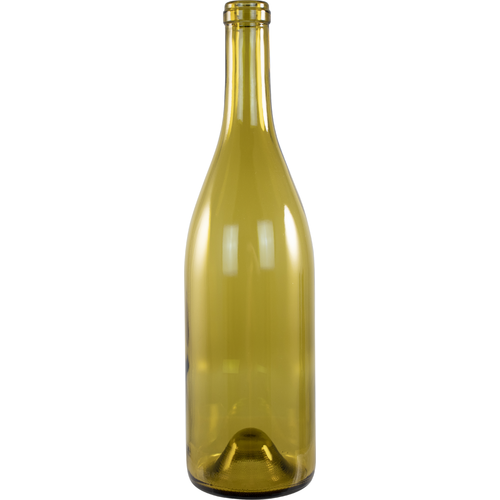 A fantastic price on a "Rhone/Burgundy" style bottle that has been traditionally used for Syrah, Petite Syrah, Pinot Noir, Grenache, Mourvedre, Chardonnay, Sauvignon Blanc in the Loire tradition ("Fume Blanc"), Viognier, Gewurztraminer, and Roussanne. You can use it for any wine you make. 12 per case. Good bottle, a little light weight, but otherwise good choice. Good bottles for white wine. I prefer this color to the darker greens. The reason for the 4 vs. 5 stars is our bottle filler doesn't function as well with the indented bottle bottom. Class up that bathtub wine you made. Amaze your friends and peers.